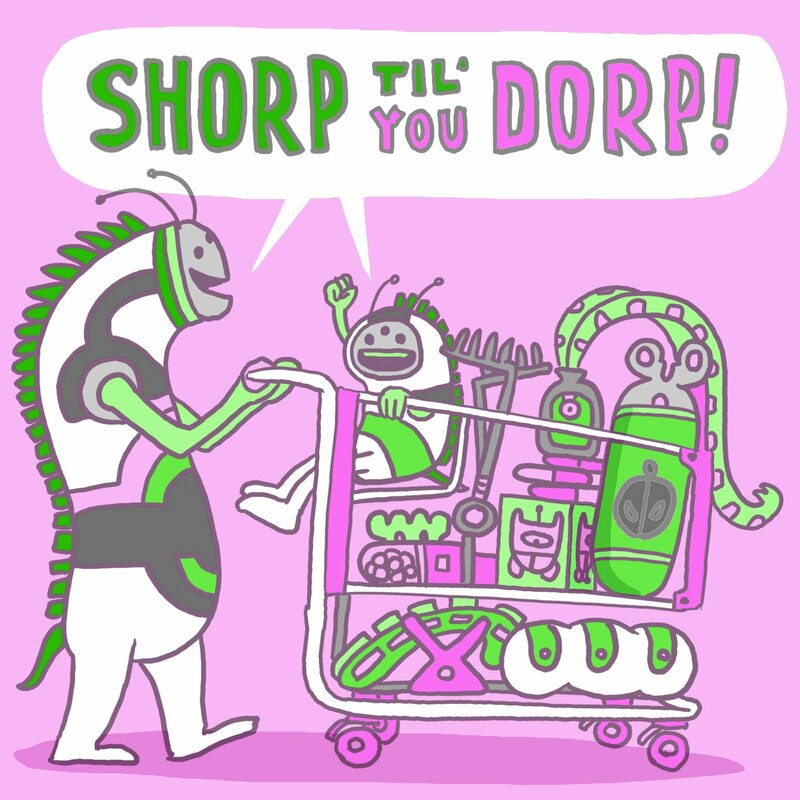 An alien parent and child go "Shorping" which is like shopping, but in reverse. They look at all the items in the house and say, "We need to go shorping!" They gather the items, repackage them neatly, load them into a vehicle and take them to a "Shorping Center" where they are paid money at the register, then they carefully put the repackaged items back in the right aisles. Shorp til' You Dorp! "Dorp" is what they shout at the end, when they leave the "Shorping Center" with a nice empty vehicle and money in their pockets. I'm going for the photo finish tomorrow, I'll get picture book 26 out at some point during the day. Sheesh, I can't believe I did all 28 last year, with the Land of Doom story along side each post. Yikes! I was in better shape last year. Fun! Our apartment needs to be shorped. Oooh. I would love to go shorping. Cole said he would love shopping where you get the toy for negative $1000. Sounds like a nice world to me. Yeah, sign me up for some negative $1000 toys.